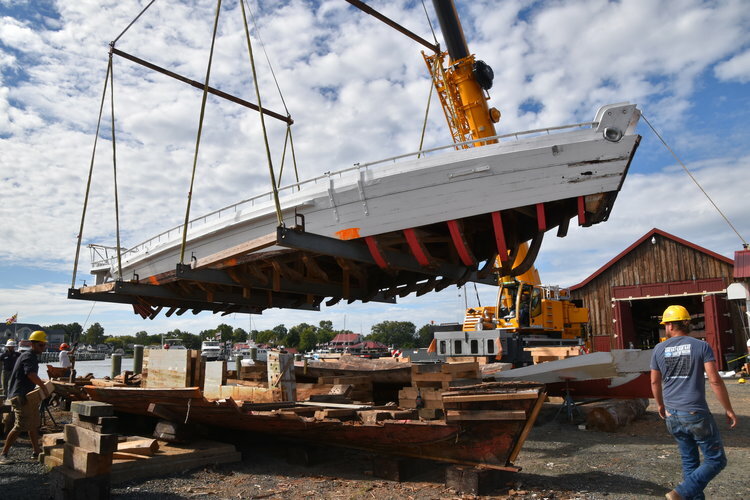 Chesapeake Bay Maritime Museum Boatyard Manager Michael Gorman reports that a major step has been made in the historic restoration of 1889 bugeye Edna E. Lockwood, with her existing topsides lifted by crane to sit directly above her new nine-log hull. Edna Lockwood represents the last of her kind, as the oldest historic log-hull bugeye still under sail. In mid-September, the topsides were successfully transferred to sit just above the new hull, which shipwrights finished shaping earlier this year. 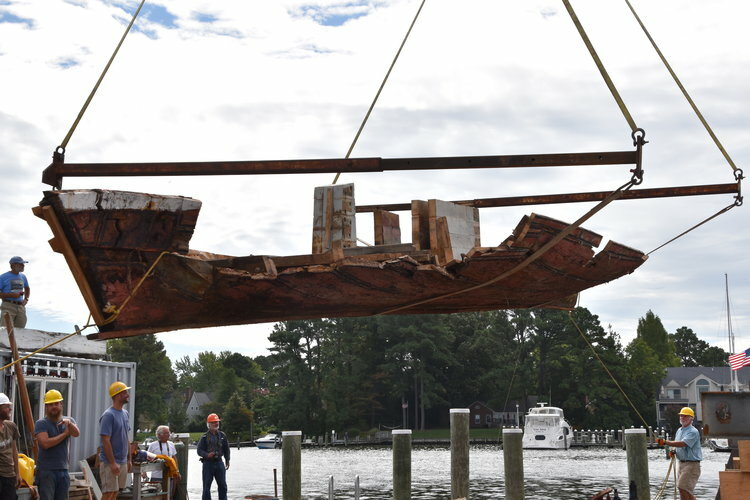 At the same time, Edna’s original 1889 hull was moved to the other side of CBMM’s campus, where it will eventually be put on display. The next phase in the restoration will see shipwrights begin the process of marrying the two sections of the boat, and jacking the bottom up to meet frames. New stems, hatches, additional structure will also be installed this fall, and sails will be sent out to have new ones made.